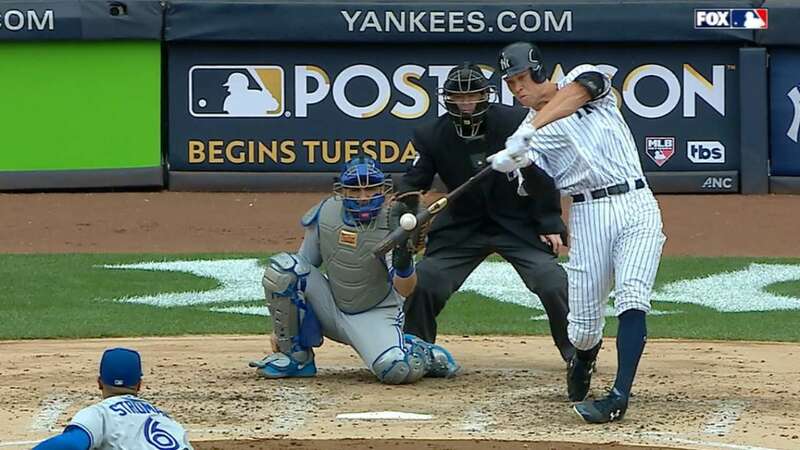 Aaron Judge eclipsed Babe Ruth’s 96-year-old record for the most roundtrippers hit at home by a Yankees player, and CC Sabathia walked off to a standing ovation on Saturday at Yankee Stadium as New York defeated the Blue Jays, 2-1, in its penultimate game of the regular season. Judge’s 484-foot blast, according to Statcast™, off Marcus Stroman was his American League-leading 52nd homer and the rookie’s 33rd in the Bronx this season. Ruth hit 32 home runs just across the Harlem River in 1921, when the Yankees still called the Polo Grounds home.